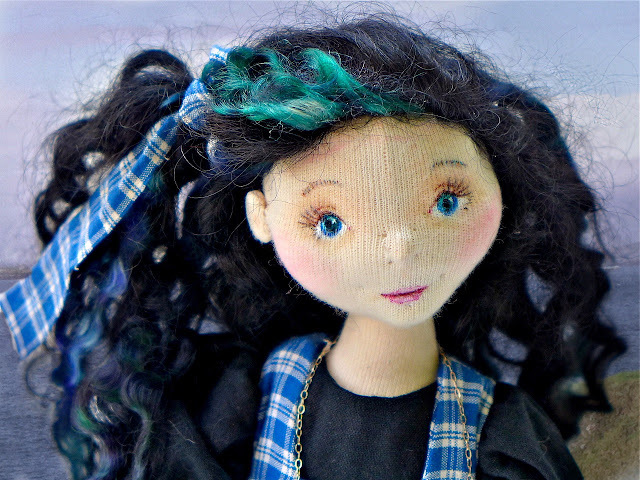 The Fairies Nest - OOAK Cloth Dolls & Fiber Fantasies: The Cult of Doll Almanac at Last! 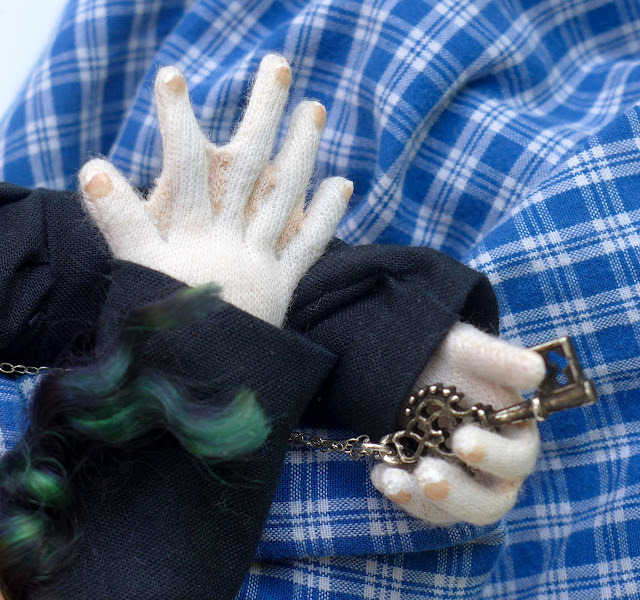 About a year ago I published this picture of a WIP doll. 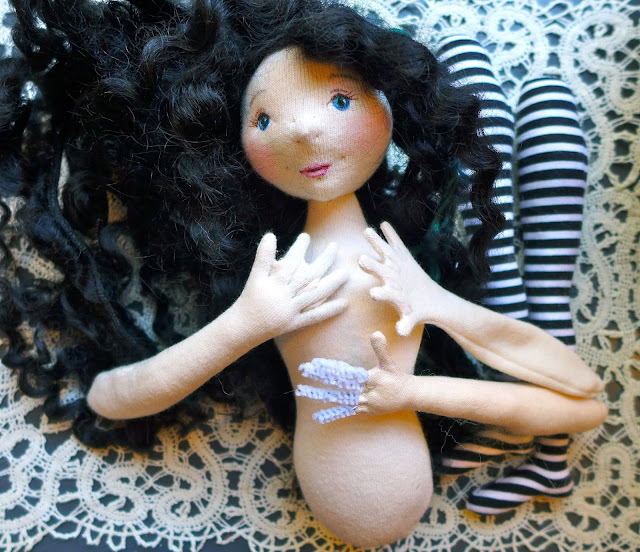 At the time I couldn't say much because she was part of a project I was working on with a group of other doll artists but The Cult of Doll Almanac is now published and I can share the finished doll and her story at last! 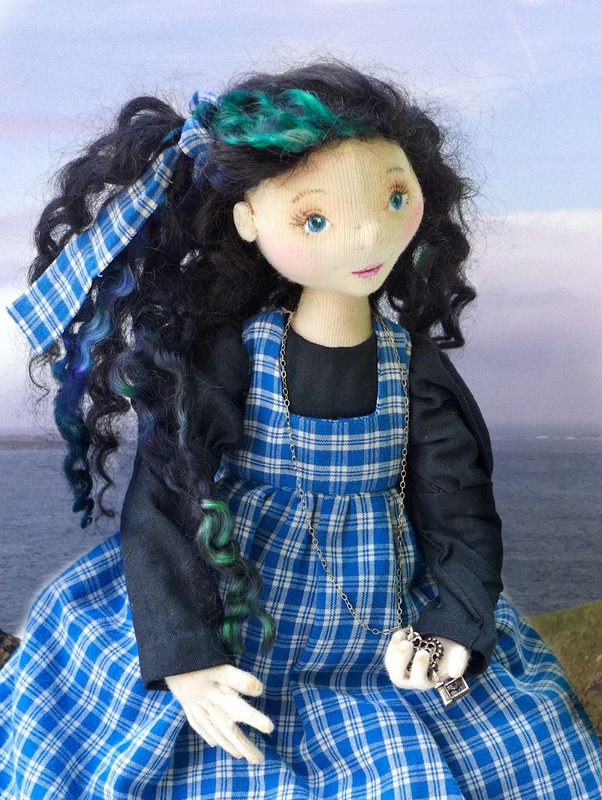 Meet Murin, the Selkie's child. 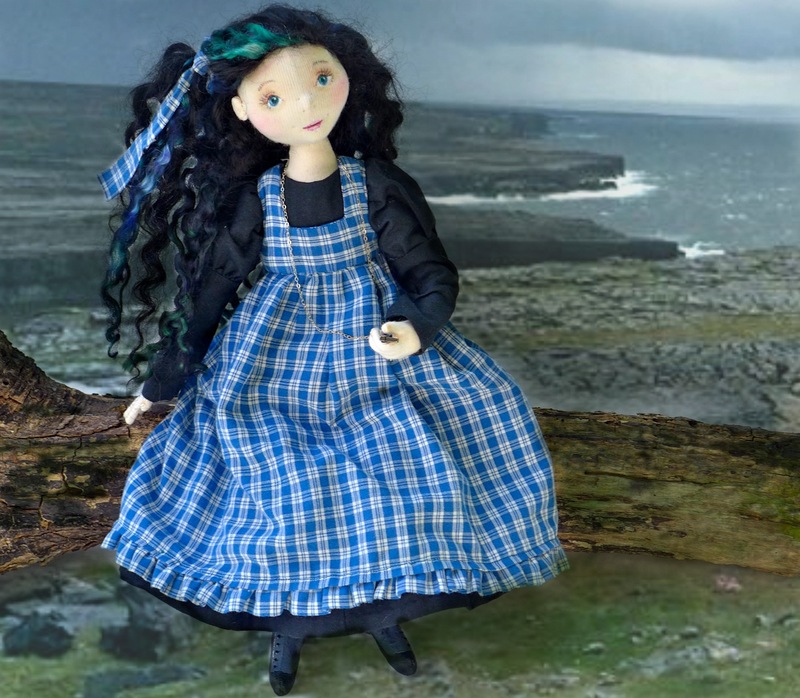 Murin's full story is in The Almanac along with other gorgeous dolls and fabulous stories by some of my favorite dollmakers. It is such an honor to be included in this group! I do hope you go give it a look! She looks like Claire Fraser from "Outlander"!